Shiny offers variety selection of different changeable dies that include the plain one for your personal initials & designs. Place 2 wax beads into the spoon. 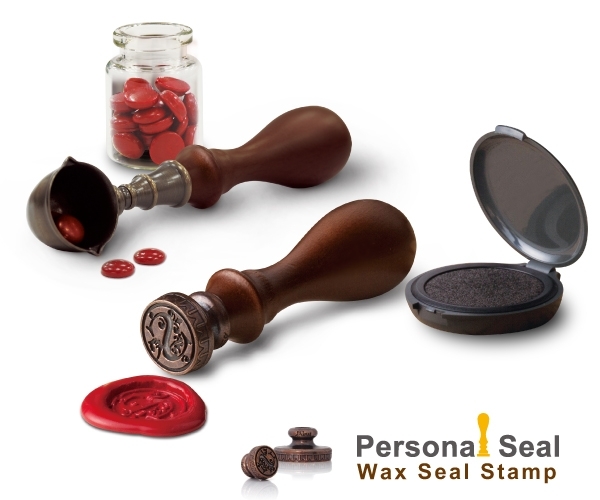 2 wax beads produce 1 round seal. 3-4 wax beads produce 1 oval seal. Hold the spoon over the heat until the wax beads melt. Pour the hot wax onto. the area where you wish to place the seal..